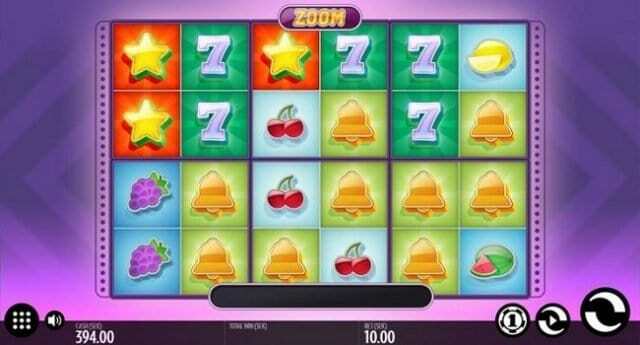 Zoom Mobile slot is a bit like classic slot game powered by ThunderKick software. Though ThunderKick slots may not be like WMS slot or Micrrogaming but this particular slot is worth to play. This game is 6 reels, 4 rows and 64 paylines mobile slot game which can be played at any ThunderKick casinos for real money. This slot is very easy to play and simple in nature. The Zoom slot is split in to 6 zones and 4 symbols. There is a ‘Z’ symbol in this slot game which can appear on anywhere on your reels and will guaranteed offer you free spins plus you will get a ‘massive symbol’ in that zone. If you manage to get another ‘Z’ on your re-spin then you will again get another chance to free spin and re-spin and it will continue until you get another symbol on board.